To kick off the start of the eighth and final Game of Thrones season, Wendy’s created a special Game of Thrones promotion that plays up some of its products that can be tied to fire and ice. 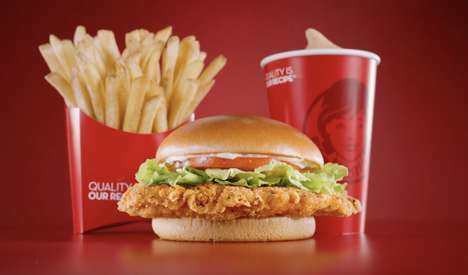 For a limited time, Wendy’s is offering a free small Frosty when a Spicy Chicken Sandwich Combo is purchased via DoorDash. Knowing that millions of people will be tuning in on Sundays, and setting themselves up with snacks and drinks for the long episodes, Wendy’s created a special promo code that can be redeemed to have the special deal delivered straight to one’s door. In partnership with IGN, Wendy’s is supporting The Ringer’s Talk the Thrones live pre-and post-show breakdowns, and fans can keep up with the conversation on #HouseWendys.